It’s a roller coaster of a world we live in, and the lines are blurred everywhere. There’s an argument and an answer for every side of every question. 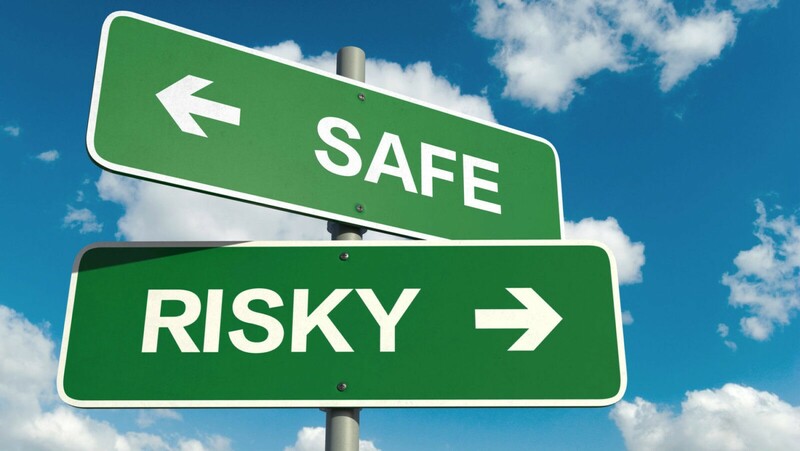 When it comes to something new, how can you be sure whether to play it safe or take a risk? We may not all ascribe to the same answers or life paths, but if you take our advice in these areas of your life, there’s no reason you can’t have it both ways. It’s safe to push yourself to learn new skills and take on a variety of responsibilities. If there is a promotion or a job posting that looks fun, exciting, and challenging, go for it! Sometimes you learn the most by applying for new opportunities. It’s a risk to mess around when it comes to policies that protect you. There are workplace safety training videos on everything from disaster training to back and posture safety. Regulations on the job are there for a reason. So if you’re not sure why a rule is there, look it up and ask questions. If you don’t agree with the status quo, advocate for changes that support everyone involved. It’s safe to explore a new place. It can be an exotic country, or a new restaurant in a favorite vacation spot because the more you experience, the better your worldview. New places can be so inspiring. They teach you about people, history, and just how much more there is to do in this world. So if adventure calls, you really should answer. It’s a risk to lose your head. The world is incredible and full of great new people to befriend, but not everyone is along for the ride like you are. Be smart about how you travel and keep track of any belongings you’ve brought with you (including any buddies!). If needed, make arrangements for a guide or travel with a tour group. Once you have the lay of the land, you can always go back for something more adventurous. It’s safe to have fun and create lasting relationships with friends and family alike. Find people you trust and enjoy spending time with on a variety of levels. You may trust them with your life or only trust them not to eat your desert when you leave the room. And while it can be hard to go outside your comfort zone in social settings, you might end up with a new BFF. It’s a risk to let anyone take advantage of you. Some people can be needy or cruel or oblivious. Be open with them about how they should treat you, and encourage them to do the same with you. If they don’t respect you, it’s okay to stand up for yourself, grab some trusted friends for support, and if it comes down to it, walk away. It’s safe to study a subject that you’re interested in. If you plan to have a career in that field, you need to like the work at least through graduation. Decide how much that education is worth to you. Do you want to go into medicine but aren’t a fan of student loans? Then something a little more low key might be your best shot. It’s a risk to go into debt for a degree just because that’s what everyone else is doing. The classic educational route isn’t necessarily the best one. Trade schools turn out highly skilled workers that can jump right into employment, and with the massive amounts of information available on the internet, you can learn practically anything for free. If you’re seriously ambitious, you can turn any education into a successful business or career.